In a recent study conducted by the Environmental Protection Department, it was shown that an astonishing 217 tonnes of textile end up in the landfills of Hong Kong every single day (SCMP). The ‘fast fashion’ trend that had emerged in the nineties saw the rising demand for cheap, disposable, and speedy productions. Thus, the phenomenon of unsustainable consumerism that glorifies low-cost goods had caught on. This inspired young, budding local designers to take on the challenge in advocating for conscious and environmentally-sensitive fashion items that are both woke and trendy. While the challenge of implementing sustainable fashion remains alive and well, this long-term aim in the Hong Kong fashion circle is particularly inclusive and inviting towards young, ambitious designers. As part of the 2016 Business of Design Week, the ‘Design For Asia’ awards has spotlighted young local Hong Kong designers and their creative endeavors in supporting sustainable fashion and design. In particular, awardees Wilson Choi, Gim Wong, Lam Kin Yan, and Lion Sze Tsz Ki each offer their ideas on the fusion of sustainability and fashion, responding to the daily challenges that arise in an artistic manner. Wilson Choi, a recent Hong Kong Design Institute graduate, aims to “build a well-known brand that integrates fashion with smart textiles and wearable technology that [allow] people to [live better and more comfortably]”. 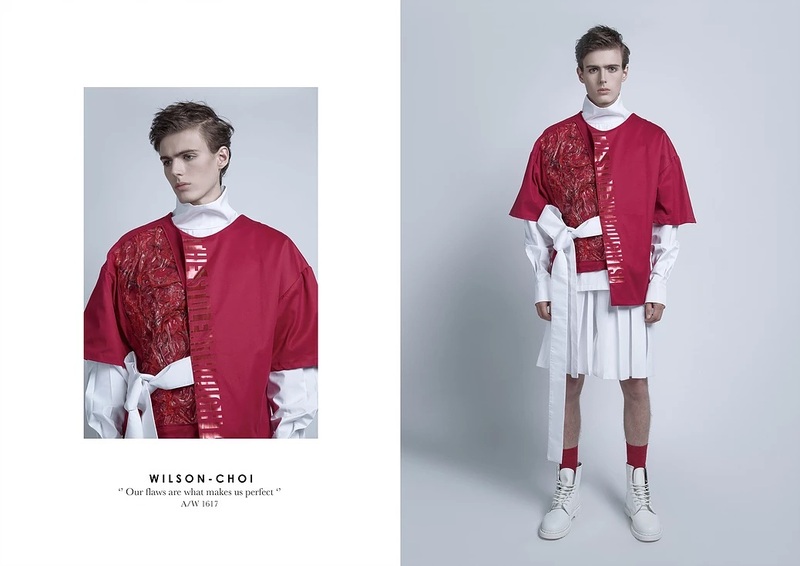 In order to pursue his very own personal style and his ‘design for better living’ philosophy through his creative vision, Choi incorporates high technology with futuristic designs. His 2/3 collection resonates with military combat veterans, where he integrates a seamless design created with yarn cloth and silicone to simulate the veins and scars of those who had served in honour. Choi’s thoughtful and sensitive creations have garnered praise, earning him the ‘Create Smart Young Design Talent Special Award’. 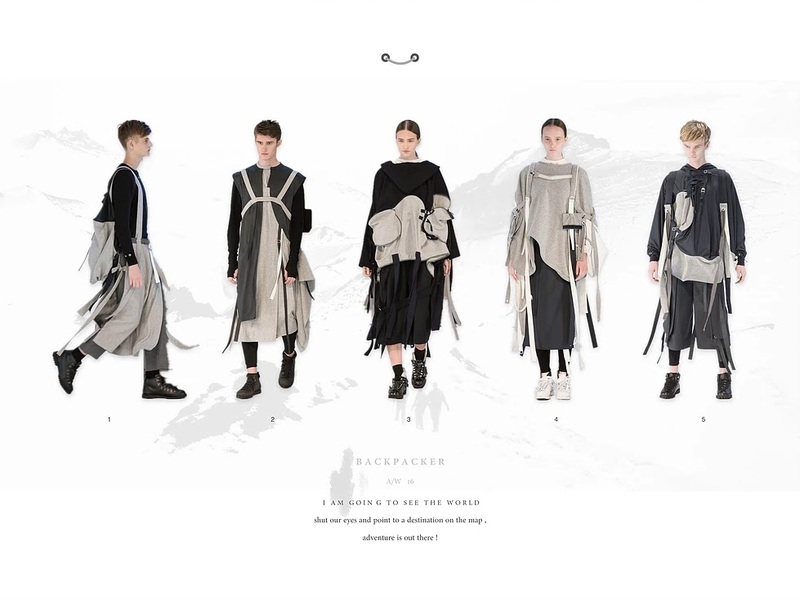 HKDI Elite Student Gim Wong yearns to create “innovative, modern, and multifunctional sustainable collections”, and this was reflected in her final graduation project Backpacker which had won the ‘Best Contemporary Award’ at the 2016 Graduation Fashion Show. Backpacker presents sustainable, multifunctional pieces that act as both a backpack and a top garment, showcasing the skillful and intriguing cutting that allows the cloth and backpack to appear conjoined. The irregular map shape formed by the arrangement of two distinct fabrics and a zipper forms a unique draping look that is both memorable and captivating. Fellow award winner at the 2016 Graduation Fashion Show Lam Kim Yan sees fashion as “an artistic approach to expressing one’s opinion”, and that successful works should “possess its personal signature while being responsible for the world”. Lam’s time spent in rural China fostered his admiration towards the simplicity of nature. This is why he has a heartfelt aim to advocate for eco-friendly fashion and consumerism in design. In particular, he focuses on fabrics, materials, and dyes, where he places emphasis on using natural dyes and materials to save energy and to preserve the environment. 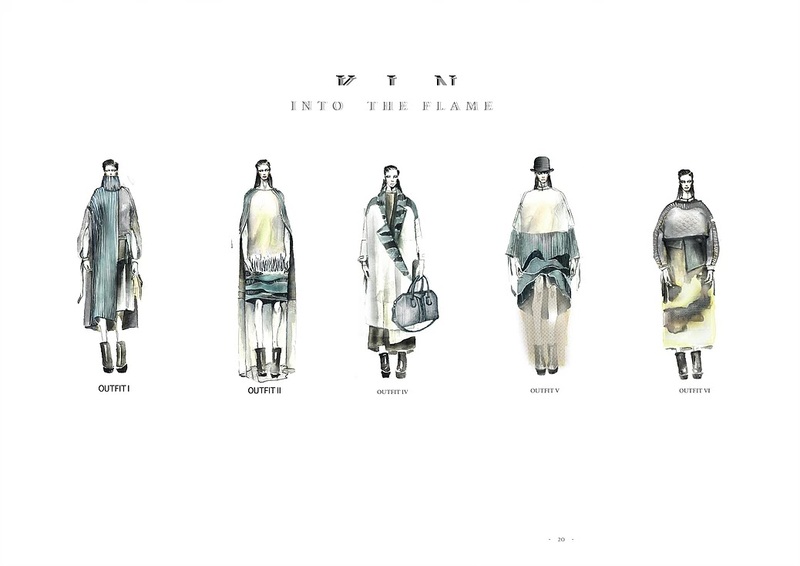 As a result, his collection Into The Fire was selected as ‘Best Knitwear’, and Lam as a finalist in the 2016 ‘Hong Kong Young Fashion Designers’ Contest’. Lion Sze Tsz Ki, a Hong Kong Polytechnic University graduate, vows to earn ‘Made in Hong Kong’ a good name: “I believe that ‘Made in Hong Kong’ does mean good quality”, he states. 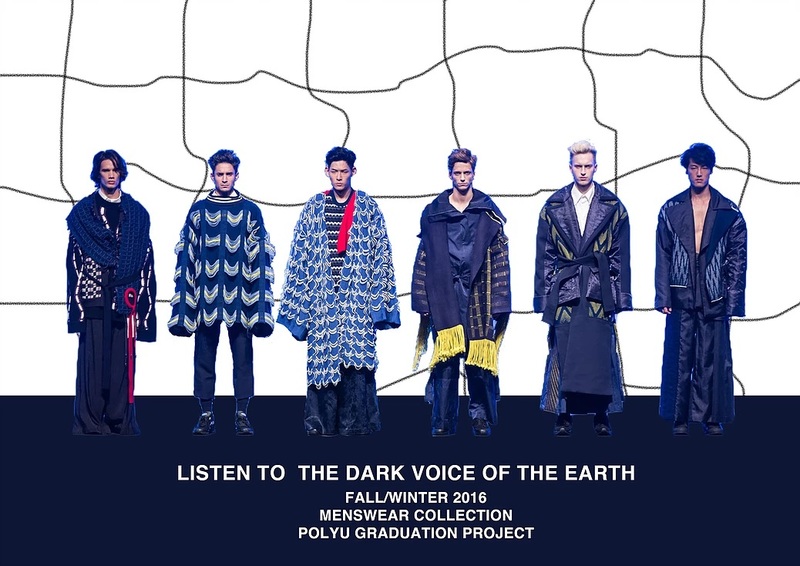 He redefines the knitwear discourse in Listen to the Dark Voice of the Earth F/W ‘16 by fusing high technological knowledge of wavelengths and frequencies of Earth with a mystical ‘man versus nature’ concept to create innovative knitwear textures and structures. Sze pays careful attention to the exquisite process of knitwear production. From yarn production and knitting structures, to the methods of washing knitwear, he sees knitting as an expressive medium for creativity. It is heartwarming and inspiring to see the budding community of young designers in Hong Kong be so involved in advocating for sensitive and environmentally-conscious fashion. With the increasingly inviting and open-minded creative environment, there are growing efforts in the young fashion collective to promote sustainability with creativity and originality. The environmental preservation is a prevalent international discourse, and it is evident that Hong Kong’s creative design and fashion industry is eager to provide its input and participate within the global discussion.